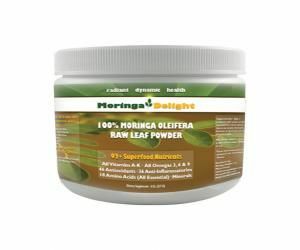 Moringa Leaf, 60 Caps - Moringa Delight | Moringa Products | Raw Life, Inc.
We are located in Leon, Nicaragua in fertile, volcanic soil, close to the Pacific Ocean, 50 meters above sea level which makes it ideal to grow and cultivate Moringa. Moringa is originally from Southern Himalaya and has spread to all tropical and sub tropical lands of the world, where it is known by many local names and used in each country to treat different diseases as well as an addition to local diets. Moringa was brought to the West thanks to the work done by scientists who studied its properties in Africa and India. FAO, UN, UNESCO, World Health Organization and others are promoting and endorsing its use to treat malnutrition and many medical conditions. Major research centers throughout the world, John Hopkins, University of Leicestere, Duke University and others are doing experiments to verify claims made by Ayurvedic medicine and other traditional medicines throughout the world who have used the products of this plant. FAO has feeding programs to reduce malnutrition among children in Africa, as well as supplementation to pregnant women to supply the much needed calcium, protein, vitamin A, B and iron for the healthy development of the fetus and to increase milk production of the nursing mothers. Other programs have been initiated to supply Moringa to people with HIV to reinforce their immune system and thus prevent complications from other diseases. 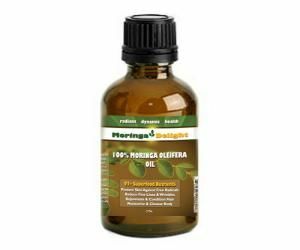 Much has been said and written about Moringa, users swear that this plant is a �cure all� product. Ayurvedic medicine, the oldest medicine practiced in the world has prescribed Moringa to treat and prevent over 300 diseases. Modern science has found that the reason this �miracle plant� has so many curative properties is the combination of nutrients, enzymes, vintamins, minerals, proteins, amino acids and anti oxidants it contains: Over 27% protein, more than twice the calcium in milk, all 8 essential amino acids and 21 total, 46 anti oxidants, 36 anti inflammatory agents, vitamin A, B, D, E, K as well as magnesium, manganese, copper, zinc, iron and calcium in high dosages. In total, more than 92 beneficial elements have been found in Moringa. It is no wonder that many of the common diseases affecting modern society are relieved or cured by using Moringa. It is well known that many sicknesses affecting modern societies are caused by the ingestion of foods lacking in minerals, vitamins, micronutrients, enzymes which have been depleted from the soil because of bad agricultural practices, by the use of chemical fertilizers, insecticides and herbicides. It has been found that the lack of the nutrients missing plus pollution, stress and sedentary life style has caused an upsurge of illnesses in modern society. 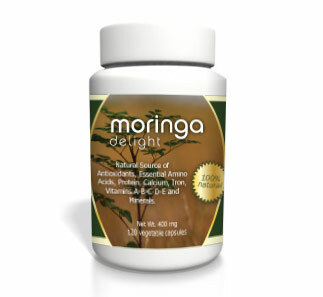 Moringa is a safe and proven way to supply the much needed nutrients as well as help fight free radicals with the 46 anti oxidants found in Moringa�s leaves. It has been classified as a GRAS (Generally Recognized as Safe) food source without any negative secondary effects. What makes us different from other growers and producers? From the onset of our project an uncompromising decision was made to cultivate, harvest and process Moringa following only the more sound and best methods available, friendly with the environment and using only the safest and most hygienic method to obtain the healthiest and freshest product available in the market. It was decided to break away from all Indian and African practices of washing and disinfecting leaves using chlorinated or salt water as well as drying under the sun or under a �shed�, as it can be seen in most of the YouTube�s available. Chlorinated water leaves a residue in the dried leaves with all the negative �connotations�. Drying under the sun eliminates most of the vitamins available in Moringa and exposes leaves to contamination from the environment. Drying �under sheds� is even a worse practice since it takes over 4 days to dry, forming mold and yeast as well as contamination from insects, rodents and other animals attracted by the protein and other nutrients in Moringa. 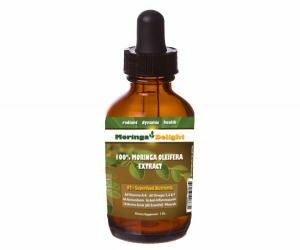 To eliminate all the contamination bacteria, Escherichia coli, also known as E. coli and other pathogens, most imported Moringa products from those countries require treatment with Gamma irradiation which also reduces or eliminates most of the vitamin and other positive properties. We wash leaves using ozone water, dry in a stainless steel rotary drier at less than 110 Degrees Fahrenheit thus preserving nutrient and enzymes intact and making our food �Raw�. Our processing plant is USDA compliant, FDA registered and we follow Good Manufacturing Practices. 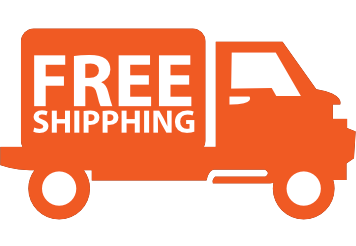 Our products are free from germs, bacteria, mold and yeast without the need to decontaminate as others do.